Summer vacations are wrapping up and school is beginning. It is also the time of year, people begin planning for the following years vacation. 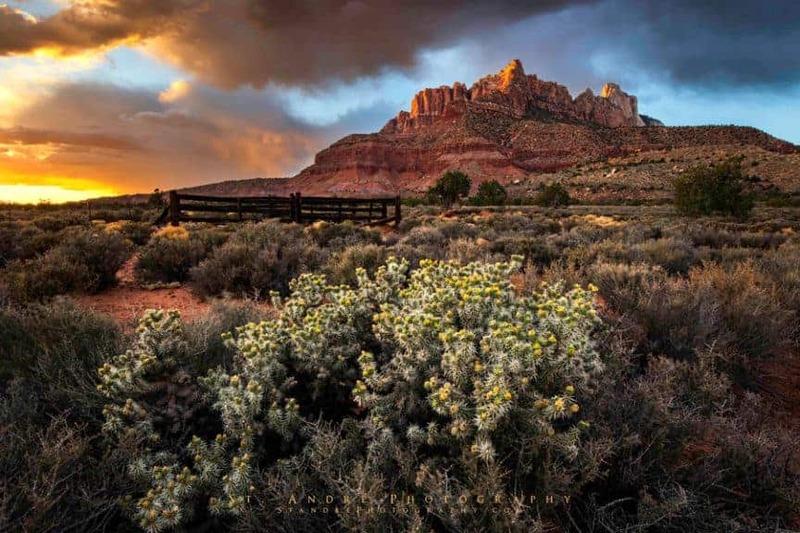 Since Utah has become a hotbed of vacationers, I figured I should impart a bit of photography knowledge to you wanderers who are visiting my state. Particularly I want to share with you some knowledge on Zion National Park since I have been living so close to it for so long. You see, now that I have been photographing it for two years straight, I have picked up on some of her trade secrets. So now I get to share them with you. This advice won't guarantee a great image, it will just increase your chance. So if you are planning a trip out here sometime soon, pay attention, I might change your plans. I am going to avoid seasons for a couple of reasons. 1- Southern Utah barely has them. 2- Particular months are actually more accurate for predicting good conditions. So if you are looking for “best season of use” This is not where you are going to find it. Let's get to the months that matter. First on our line up of best months to visit Zion is April/May. This is due to the fact that everything has greened up and the plants have come back to life. Spring storms are rolling through on a regular basis and the sun is in a good position. A quick geography lesson of Zion. 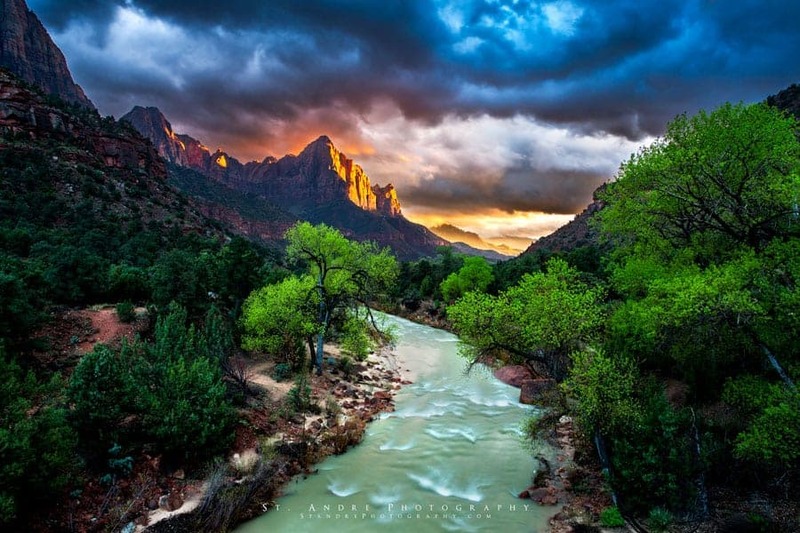 Zion is located on the edge of the Colorado Plateau and is oriented north to south. Because of this, the cliffs are shrouded in shadows at sunset and sunrise. But there is a famous structure that is lit up very nicely this time of year. That is the watchman. 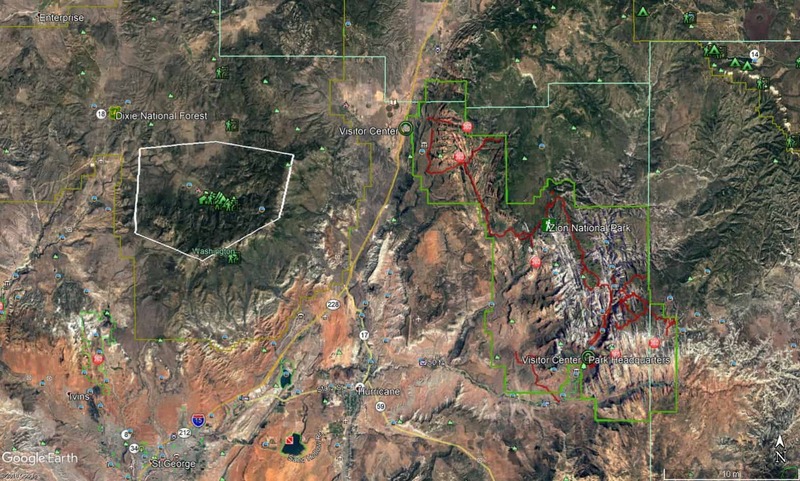 The reasons for this is due to a mountain range west of the park called the Pine Valley Mountains. These peeks sit adjacent to the park and have a tendency to block the sun as it sets all summer. But during these months and later few months of the year, they are not in the way. So if you are wanting to photograph this famous scene, head there during these months to get the best chance for great light. Spring storms do a few funny things. They have a tendency to build up in the late afternoon but break up at sunset. This is so frequent I can almost plan in like clock works. If your weather app says partly cloudy at sunset these two months, you will probably get a killer sunset. Also going back to that geography thing, the storms have a tendency to sit on Zion and leave the view to the west unobstructed for the sun to light up the sky like the fourth of July. During the summer months (June, July, August) this almost never happens. But During April/May, you will probably get 4-5 solid sunsets like this. That is about once a week or every other week. That is good odds for landscape photography. This weather happened this May. These months bring spring blooms. All the Cactus's bloom during these months. They provide amazing splashes of colors to the desert landscape. Reds, pinks, yellows and other colors often graze these spiny friends. Be mindful, these blooms change day by day and are tricky to predict. I missed them all this year and I even live here. July is the beginning of the monsoons. If you are unfamiliar with the monsoons, they are a phenomenon where moisture is picked up off the land and billows up in the form of thunderstorms. These storms happen to build up over mountains and Zion happens to be one of these. Monsoons storms build up pretty much every day somewhere and if you are wanting dramatic stormy clouds in and around Zion, then this is the time to visit. The other advantage to this month is if the clouds don't cooperate the milky way is out the moment it gets dark. So if you plan your trip around the new moon of the month you will have great opportunities to have a great stary night over Zion or a thunderstorm during the day. One thing to consider is safety when you visit this month. Many people come from places that can handle an inch of rain in one hour. In Utah, that will produce a 10-foot wall of water that obliterates all life that stands in the way. Other things to consider is heat. Soaring temperatures can mean that you will be dehydrated in as little as an hour and potentially fatal in just a few hours. Last but not least, lightning is a real risk. Don't try to get a shot that may end your life. You are essentially walking around with a giant lightning rod called a tripod. Be careful. Fall colors in Zion can be spectacular when combined with beautiful red rock. Colors within the canyon have a tendency to peak around mid-October to late October. The cottonwoods near the mouth of the canyon have a tendency to peak around late October to the first two weeks of November. Everything after that is up in the air. If you want to get fall colors that is your window of opportunity. Weather during these months is often hit and miss. Occasional storms roll in, but more often then not, you will get few clouds. If you are wanting epic skies, don't come here this time of year. Sun positioning is optimum this time of year. The sun is on its journey towards the southern hemisphere placing it back in the optimal area to miss the Pine Valley Mountains like in the earlier part of the year so you can get another chance of a great shot of the Watchman with fall colors and to have the mountain lit up. Another Advantage is that flash flood danger is minimal this time of year and the canyons are cool and great to explore. The Narrows is wonderful during October as the trees are swinging into fall colors and there are plenty of opportunities to get great light within the canyon. I hope this advice can be useful for your southern Utah planning. Mind you, Zion can provide wonderful images any time of the year, but I find these months to provide the best portfolio worthy images. 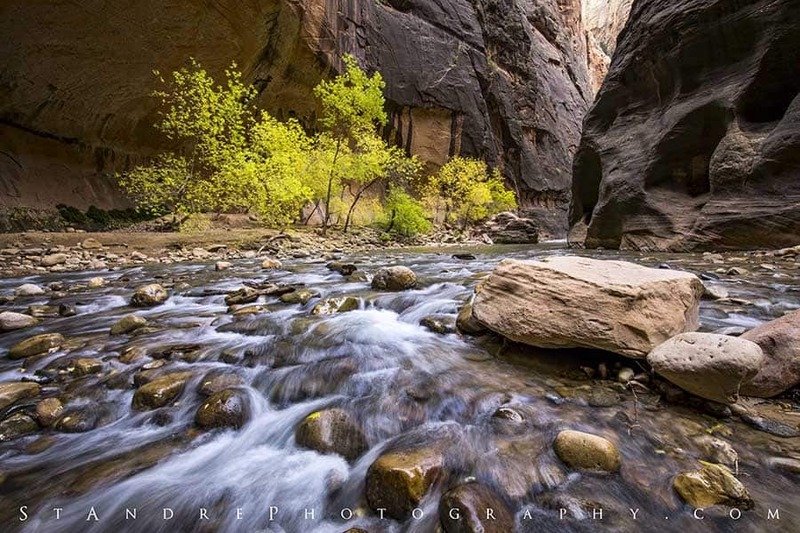 Have you visited Zion these months I have suggested? If you have, share with others your experience.